Two rectangular plus two square Glasslock oven safe bakeware pieces in a nestable set for easier storage. Pack includes two rectangular and two square container. Each shape is nestable so they stack away inside each other when not in use and take up less cupboard space. I love using these and have ditched all the plastic ones I used to have. Sturdy lids and good sizes. Great value for money and the perfect sizes for so many different uses. I love the colourway on this range. 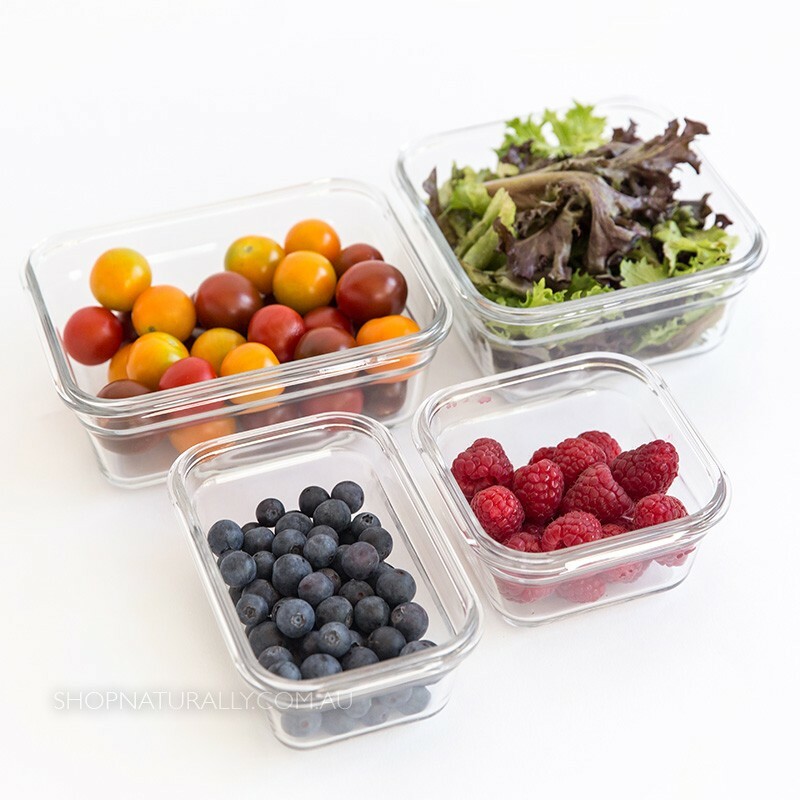 Absolutely love using these glass containers...... store so many different foods in them and am ditching the plastic.... yay!!!! 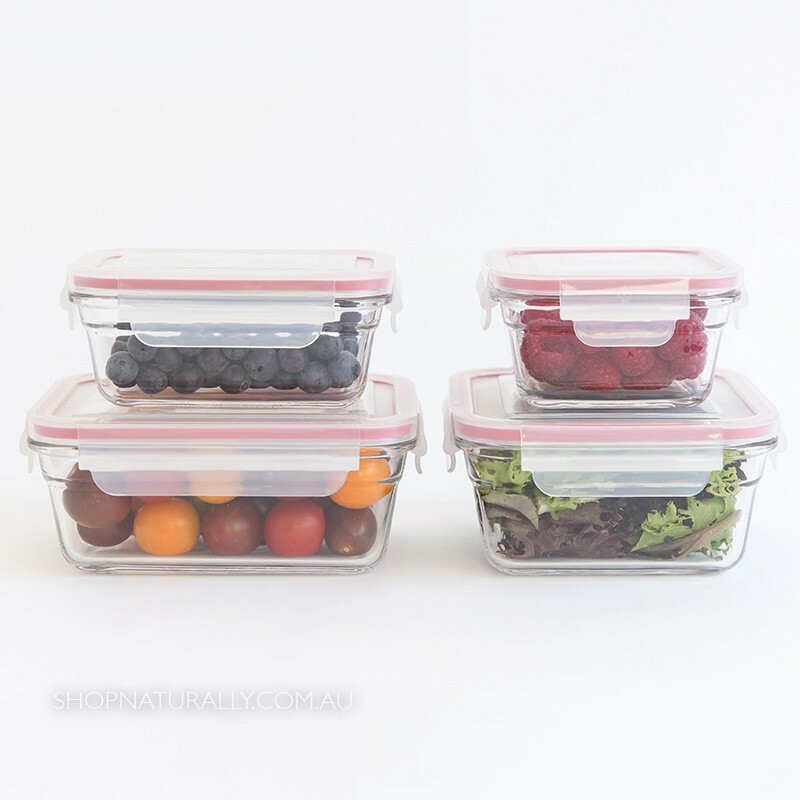 Love them, perfect size to keep premade lunches and dinners in. No need to worry about any nasties when heating. 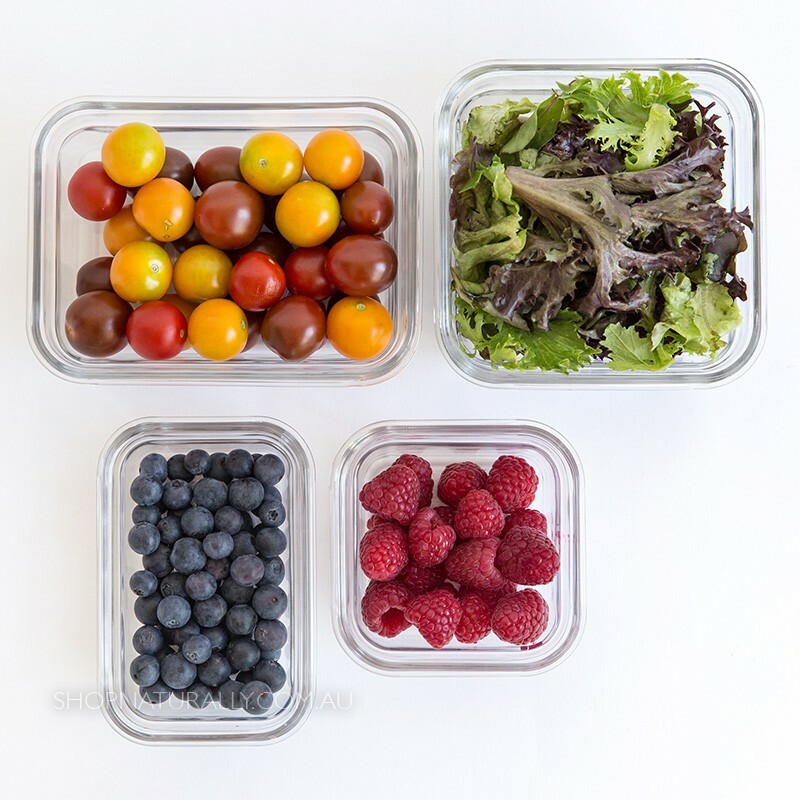 Love these glass storage containers so much. Have done away with all my plastics and replaced with these. They are sturdy, wash up well and stack nicely. Defiantly need to pick up a few more. I love storing things in glass. These dishes are great quality, but I was disappointed with the plastic lids and also in the packaging, each dish had a sheet of plastic separating it from the lid. I am trying to reduce my plastic waste, so the amount of plastic ie. the lids and the packaging would probably deter me from ordering them again :( <EOL>Shop Naturally note: the plastic lids are an advertised part of the product.